New England is one of the best areas of the country for Fall. While leafers search for the best spots to catch the colorful leaves falling from the trees, local families can head to the country to find the best pumpkin for the Halloween season. Whether it’s carving a jack-o-lantern or painting a gourd for a beautiful window or yard exhibit, the region is full of great pumpkin patches. 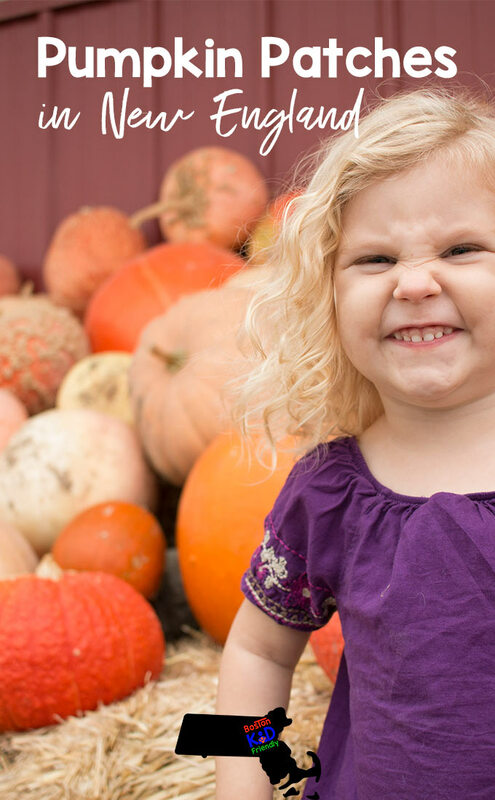 The best part of visiting a pumpkin patch may be the fun and games in addition to pumpkin hunting. Here’s a look at some of the best pumpkin patches in New England! Pumpkins have been a part of North American falls for about 5,000 years. As they have grown in popularity due to Halloween, people look for different ways to celebrate the orange fruit. 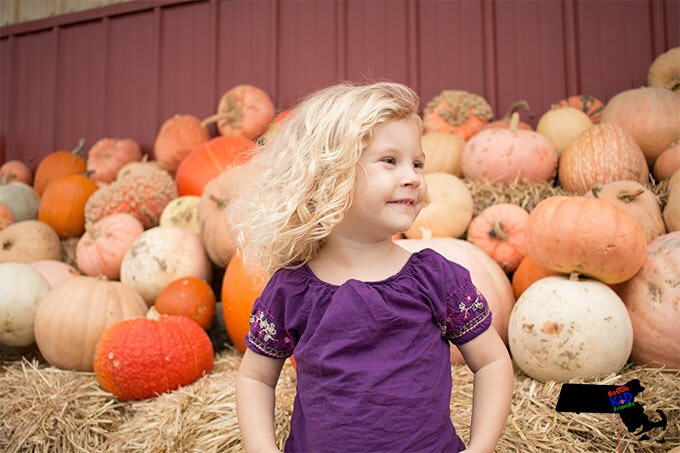 Pumpkin patches offer family time and a chance to enjoy a variety of activities in addition to looking for the perfect pumpkin. As you head out to area patches, plan to make it a day trip and enjoy the fun. Happy pumpkin hunting! Is anything more fun than taking a hay ride out to a pumpkin patch to personally pick the best pumpkin for your Halloween plans? In addition to the hay ride, Sauchuk’s in Plympton, MA, also offers a variety of fun and games for family members. Opened weekends Sept. 22 – Nov. 4, Children can play on a giant jumping pillow, in a sandbox filled with corn kernels or take a ride on a cow train. If target shooting appeals to you, head over to the corn cannon and launch a few ears into the air. Additionally, families have the choice of strolling through two corn mazes. Before taking a hay ride to the pumpkin patch to choose your favorite pumpkin, how about enjoying some fun in the hay play area at Fletcher Family Farm? Or, take the children to the petting zoo where they can play with baby farm animals. The farm will be open weekends throughout October. While you can pick your own pumpkin weekdays, Scott’s Yankee Farm offers wagon rides to the pumpkin patch on weekends in September through the last weekend of October. While visiting the farm, take the family through the corn maze. Whitcomb’s Land of Pumpkins and Corn Maze offers pumpkins at its pumpkin stand. While they don’t allow people to venture off to their pumpkin patch, Whitcomb’s sells a variety of pumpkins and sizes, from Cinderella to New Moon. Each variety presents a challenge for decorating. While at the farm, play in the corn maze. By the way, Whitcomb’s accepts cash or check, but not credit/debit cards. When visiting Pumpkin Valley Farm, enjoy playing on their jump pillow, shooting a corn cob out of a cannon or take a ride on a cow train. Take a walk through the giant corn maze, recognizing the 25th anniversary of Professional Bull Riders. Afterward, grab a hay ride to the pumpkin patch and pick out this year’s crown jewel of jack-o-lanterns. The farm is open weekends Sept. 22 – Oct. 28. Don’t miss future ideas, click for a pop-up to subscribe to our newsletter! While pumpkins are available now, Escobar’s Highland Farm will kick off its annual Pumpkin Festival Sept. 28 with games and activities, featuring face painting and scarecrow projects. The farm, including its 8-acre corn maze, will be open weekends through Oct. 28. This year’s corn maze has a wizard theme. In addition, visitors can take a hay ride, including possibly getting to feed the cattle a snack. Forget the pumpkin patch drive and visit Jackson, NH, where pumpkin people “come to life” as part of the city’s fall festival recognizing the giant orange gourd. Offering more than 80 displays around the city, the Return of the Pumpkin People show pumpkin figures in a variety of poses and activities, such as flying across yards, Oct. 1-21. The All Things Pumpkin Festival kicks off Oct. 14 and runs through Oct. 31. Horsedrawn sleigh rides and pumpkin tasting events highlight the fourth annual event. Check out the pumpkin carving competition. Ready to pile in the car for an epic New England pumpkin patch road trip? Don’t miss future ideas, sign up for our newsletter! 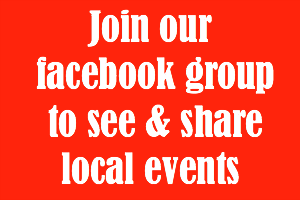 Subscribe for updates from Boston Kid Friendly!